What avatar were using around 2008/9? I remember you not changing it for awhile, then switching to the raccoon. It's hard to say. Maybe it was a wolf. I've used so many avatars before I used that raccoon one. I've had that one for like a year and a half. I think it was something to do with the movie, The Crow. If I remember correctly, I believe I used this as my avatar. I seem to recall this one. Oh, that! I used that as a sig, not an avatar. A picture of me looking on the internet to learn the secret of time travel. 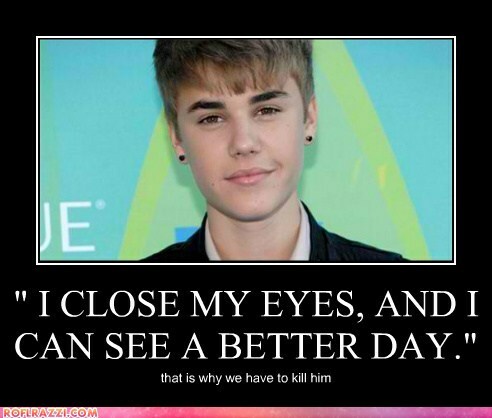 I will go back in time and stop my arch enemy...no not the Master.....JUSTIN BIEBER!!!!! What were they thinking when they gave him his own mansion and Lamborghini? Guy from Mighty Final Fight.